B. We are then to teach, admonish, and speak to one another in Psalms, Hymns and Spiritual Songs. C. Psalms, Hymns and Spiritual Songs are all in the dative; however Psalms and Hymns are masculine, whereas Spiritual Songs is famine. 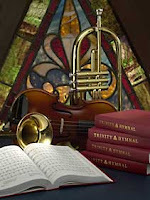 F. Psalms are normally personally, Hymns are normally doxological, Spiritual songs are normally both. B. The New Testament is the full revelation of Christ. Heb 1:1-3 We therefore are to sing the propositional truth found in the New Testament, hence the Word of Christ in Col 3:16 is the lyrical content of the Psalms, Hymns and Spiritual Songs.